The Facebook Messenger Dark Mode Feature Testing for Selected Countries and the feature itself is incomplete for now. The Facebook company has been experimenting with various features and changes in the recent times and the dark mode are one among them. 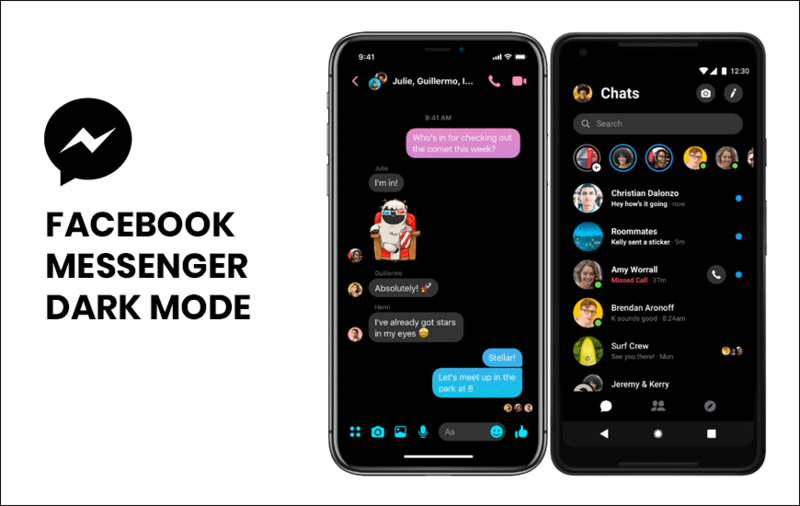 The Facebook Messenger Dark Mode Feature was announced back in October last year. As mentioned, the Facebook Messenger Dark Mode is only limited to selected countries, and we don’t have the list of supported countries. The “Dark Mode” setting will appear in the “Me” section of the app and will also include a warning detailing that the new dark mode is still a work in progress. The warning sign should appear when toggling the feature. Just as you would expect, the new Facebook Messenger Dark Mode Feature replaces all the stark and bright white backgrounds with black, and inverting text from black to white. The search bar and some other UI elements remain gray, but a little darker. This means that Facebook is still far from finishing the work on dar mode, hopefully, it does and pushes out the feature to everyone soon enough.